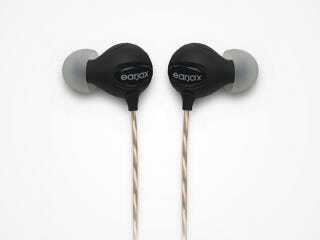 The Lyrics feature oversize, high-definition drivers that provide full, crisp sound -that’s hard to find with earbuds in this price-range. They come with an array of foam and silicone tips in multiple sizes to ensure anyone can find a snug, comfortable fit. The buds themselves feature a rubberized ABS housing for a soft feel, and the cable is covered in woven cloth, with a gold-plated aluminum jack at its end. You also get a braided extension cable in the box, and a hard carrying pouch. Interested? Head to the link below to purchase. Shipping is free, but only available to the Continental US. For more details and the tech specs, head for the link below.